TriaDCon 2006: A great time! Original Statement of Purpose This is a discussion group for the nascent effort to get a small, general purpose gaming convention going in the Washington DC Environs. 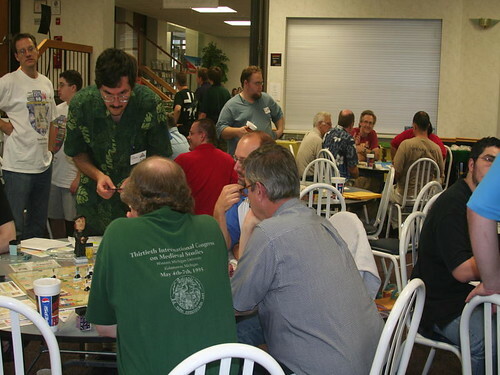 This particular discussion area relates to a grass-roots effort on the part of local gamers to start a more inclusive wargaming convention that will appeal to various groups of gamers– miniatures, board wargames, eurogames, even networked PC gaming. It is not “Origins Lite”, “Atlanticon Lite” or “WBC with other stuff”. We’re sort of creating it as we go along. It’s amazing to imagine what has been done in the year since I wrote that. We’ve been through a year of discussions, occassional arguments, and a whole lot of speculation… then, suddenly, it was time to have the convention, last weekend. 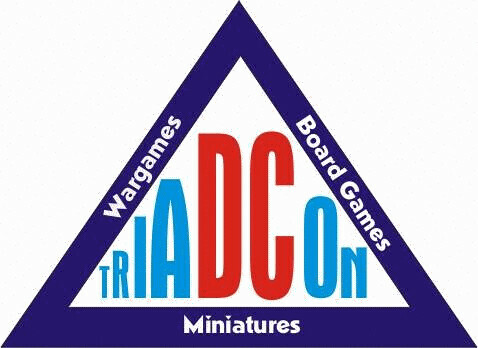 By every standard that mattered, TriaDCon was a success.. we had about 189 people, we filled tables, we played a lot of games. It was a great first year for a nice little old fashioned convention that really worked. The location. I like the College Park digs. Thank God we had Wyatt Bogan in charge of this. We got the facility at a per-head rate and it was all very, very reasonable. Walk-ins. TriaDCon had a lot of foot traffic. People who weren’t willing to drive out of town for two days are more than willing to show up to a convention inside the Beltway for ONE day. Designers. There were a lot of game designers present, demonstrating current and future designs. Particularly for board wargames. The Flea market. A great notion, based upon the European “Bring and Buy”. Vendors. Thanks to all the vendors who turned out. I made a point to TRY to buy at least something from everyone. Fresh cookies and free soda. Courtesy of the University. Lots of tables. If you like “round”… plenty of room to spread out. Great attitude. Everyone was their to have fun… never was heard a discouraging word. It was great to see faces of friends we only know online, from places like Consimworld and Boardgamegeek and The Miniatures Page. FOOT TRAFFIC! Our first showing was great, but make a point to return next year and tell all your friends!!!! Parking. This was confusing. Unforutnately a technical problem with the parking garage “closed” the garage and we had to scramble to fix it. We will work to make sure it doesn’t repeat itself next year. Signage. Also confusing. Well, you can’t think of everything. We’re working on reusable arrow signs to help navigate TO the con from the garage and around the building itself. More advertising and earlier advertising. I’m going to work on this one myself. This is easily overcome, it’s just a matter of applying labor. Andy Turlington! And Chris Turlington! And Rich Low! And Kaarin Englemann! And Wyatt Bogan!! We need more people who, at considerable expense in time and treasure, take the convention under their wing and work like mules to see it carried through to the end. MANY, MANY THANKS!!!! MORE VOLUNTEERS!! Especially at convention time. Can you spare an hour or two to work front desk? 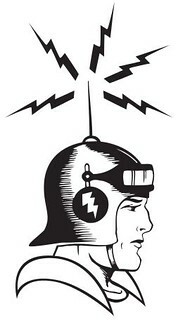 Get in touch with one of the DC Con Cabal next year, prior to the event. There might be a snazzy red shirt in it for you. Many thanks to the unsung heroes like Fritz Biggs who stayed after and helped us move a bunch of very heavy tables down to the loading dock. I owe you a beer, Fritz. In short, it was one of the best con experiences I’ve had in recent years. Here’s a slideshow of various stuff. Most of these were shot by Kaarin Englemann and Mitch Osborne, and are available on the TRIADCON WEBSITE in the gallery area.